Who are Global Relocations Consultants? Global Relocation Consultants (GRC) is an independent international organization providing mobility management and relocation services for business travelers, expatriates, and their families. Our consultants are highly qualified, multi-lingual and with an in depth understanding of both the local region as well as the needs of the expatriates and their families. Global Relocation Consultants is a member of EuRA, European Relocation Association for mobility management services and Worldwide ERC. We support the relocation needs of expats and their families throughout the Middle East region and North Africa. 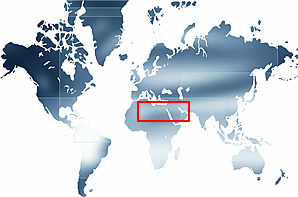 Head offices are based in Cairo, Egypt in the heart of the Middle East.